Ask a question | Confirm the availability or the price | Place an option | Request your reservation. Fill in the form below. We will reply within 24 hours. If you have difficulties on a phone or tablet, try opening this form page in a new tab, or try changing between the native browser (Safari for example) and the "Chrome" browser. NB: We can hold an option open free of charge while you decide. You can save yourself time and avoid requesting dates that are already taken by checking the availability on the calendar shown on the property page (scroll down its page and click the section "Availability"). The calendars are accurate in real time. Green dates are still available. Yellow dates have an option held, so might be available. Red dates are already taken. It may be useful to consult the Availability Summary Chart, which allows you to check a date across all our range of properties and see which ones are still available. Or we can of course provide you with a list of available properties that best fit your requirements. You are not permitted to exceed the stated maximum capacity of the property. The quoted price may be dependant on the number of people. Your mail address is retained in conjunction with your current enquiry, or a booking which may result. It will never be passed to a third party (excepting the specific property mangement concerned), nor be retained by us for the purposes of sending junk mailings. *If you tick the Newsletter box we will not repeatedly send you mails, just an occasional reminder that we exist, with updates on new properties, services or special offers, and within a limited time-span. Consult our GDPR for more details. 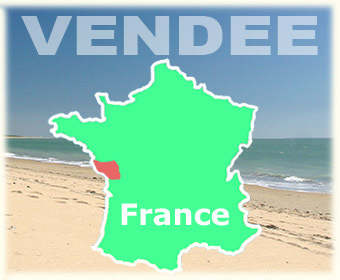 Accord Services provides publicity services for holiday rental properties in France. Letting contracts are established with the property owner or a management agency. Suggested travel suppliers or other services do not constitute a package sold by us. © Accord Services, 10 rue de la Frise, 85320 Corpe, France. Co. Reg. N° 3381 4409 9000 24. All Rights Reserved.